Test Automation is becoming vital part in the software industry, as different type of tasks need to complete within specified time in an efficient way. Automated testing tools helps testers to simplify as much of the testing effort as possible with a minimum set of scripts. By using Katalon studio a powerful automation tool we bring more intelligence to the entire test automation process. 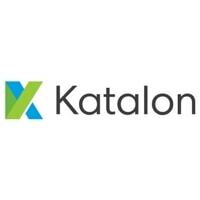 Katalon Studio Automation Testing Tool is being built on top of the open-source Selenium and Appium frameworks. It supports in Web, Mobile and API testing needs. In specific it addresses the challenge of lacking the integration among open-source test automation frameworks amid un-affordable commercial solution. It solves the test automation difficulties by supporting the built-in test framework and saves the time and investment in designing an automation framework. With the Katalon Studio’s built-in features, we start automating the application right from the first sprint in Agile project. It supports the concept of page object, object repositories and data-driven testing to increase productivity. Test scripts are run in parallel execution mode, it also supports for testing in multiple browsers and OS. Offers the New testers to use recording option and generate the tests automatically using recording utility, keywords and Custom keywords. It supports object spy for the web and for mobile application which is the most important and time-consuming activity in test automation. Records actions performed on web applications and mobile applications without using third party libraries. It has dynamic failure handling and auto re-execution feature. Easy understand of test result. Auto emailed to the recipient once the test suite execution completed. Analytics provides in-depth views of reports on the quality of application. We have a dedicated team of QA professionals who have the know-how to set-up Katalon Studio to runs test cases or test suites using multiple configurations and data sets with speed and efficiency.To hire our testers or outsource your testing needs Contact Us.